Devon - From Schaefer: Happy we're in England Happy. Our packing's done. Are you finished with the house, with the lamps? Do you still have the lamps? Come visit very soon. Are you happy? That's it. From Ursula: Congrats on getting the official date! That's so exciting. Can't wait to see the full room pictures with furniture. ok, so milk at costco? you must have kids? if so, how come we never see pictures of them? Fascinating...a clue! So our anonymous commenter is someone we don't know. I had no idea we had any fans beyond family and friends. Does this mean our house adventures are actually interesting? To answer your question, no kids -- we just like milk (2-3 gallons a week). 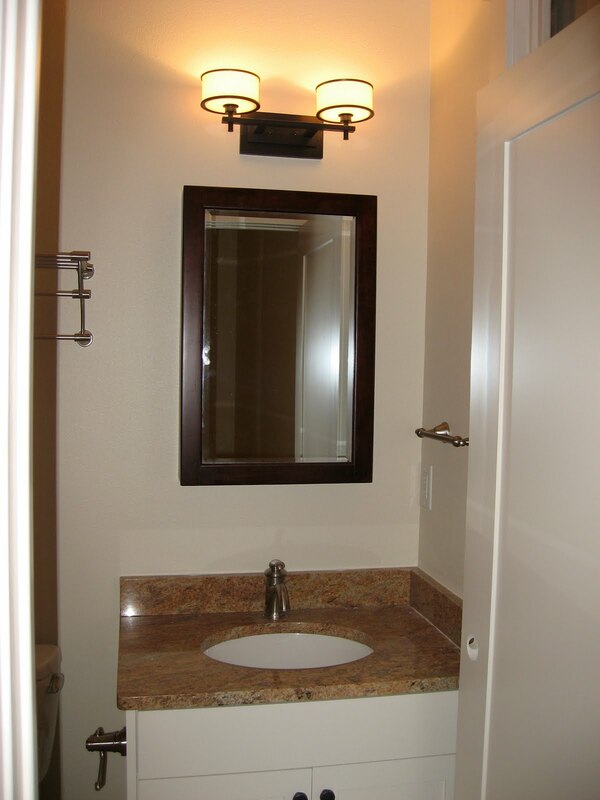 Can you please tell me where you got the pretty light fixture above your guest bathroom vanity? 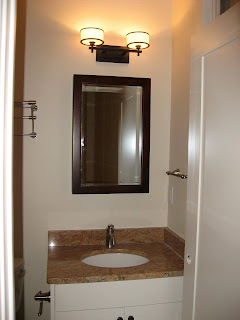 I recently completed a bathroom remodel, and still need to find a light fixture, but I'd love something unique (& hopefully affordable!). :) Thank you! Pamela -- Almost all of our light fixtures are from a local lighting store, Lighting Inc., but they're brands that are available nationwide (as well as online). The guest bath light is Murray Feiss model number VS13702-DBZ. I wouldn't say it was exactly "affordable" (I think we paid about $170 with our builder's discount) but I really love the look, and I had a lot of fun picking out lighting. It was my favorite part of the selection process. Good luck! Devon - great, thanks so much for the info.! It's a beautiful fixture. P.S. 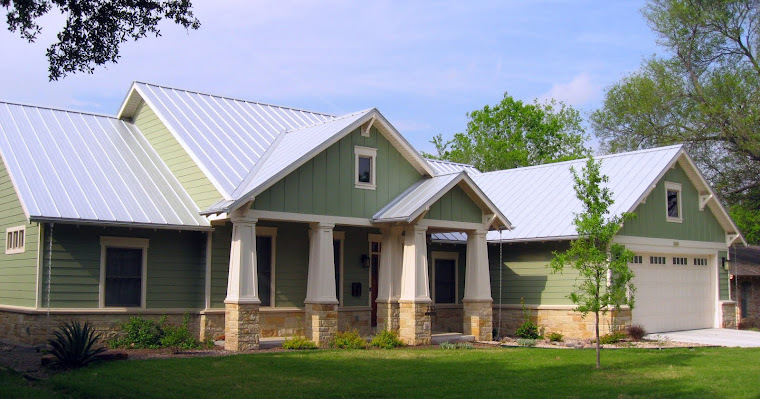 - I also love the look of your home's exterior...so pretty.